(note: I originally wrote this entry as if it was not our kids soaking up our sage advice, but it was us, so here it is) When our two girls were very young, we sat down and talked with them about the concept of sharing. Shortly after having absorbed our parental wisdom on the subject, the girls were sitting together, each playing with their own toy. Suddenly, one of the girls snatched away the other one’s toy. After the crying quieted down, Laura asked the alleged thief why she had taken her sister’s toy, to which she calmly replied, “I was sharing.” Chalk up another win for good parenting. Now, I am normally a pretty generous person, but my sharing skills are not unlike those of that young girl when it comes to my drink of choice, hot chocolate. If I have a good cup of hot chocolate, I like to keep it to myself. But I’m working on being a kinder, gentler hot chocolate drinker. And so the other day, when I had a cup of hot chocolate that was not very hot, I decided to let Timothy have a taste. I held the cup and tipped it up toward his mouth and he drank some, but as I started to pull the cup away, he bit down on the cup. I tugged at the cup, but T bit harder. Now locked in a stand off, I was trying to think win-win, but TRBL was thinking mutual destruction and punched his fist down into the inch deep liquid, splashing hot chocolate all over both of us. It’s nice to see that our son is carrying on the Lee tradition of sharing. It was two years ago, when Laura was four months pregnant, that we found out that she was carrying a baby who very likely had Down syndrome. During the pregnancy, that news had a big impact on who we told about the baby. I would have told many more people about the pregnancy had we not received that news about Down syndrome, because mentioning Down syndrome to people poured cold water on those conversations. That statement was almost always followed by a big silence, which I then normally filled in by continuing to talk (“…we’re ready for this and….”). As happy as they were for us about the baby, people just didn’t know how to react on the spot to the Down syndrome news. And I don’t blame them at all. Because I wouldn’t know what to say if someone gave me such bittersweet news. People were afraid of saying the wrong thing. And I wasn’t comfortable with Down syndrome, and besides, I felt bad putting people on the spot like that. 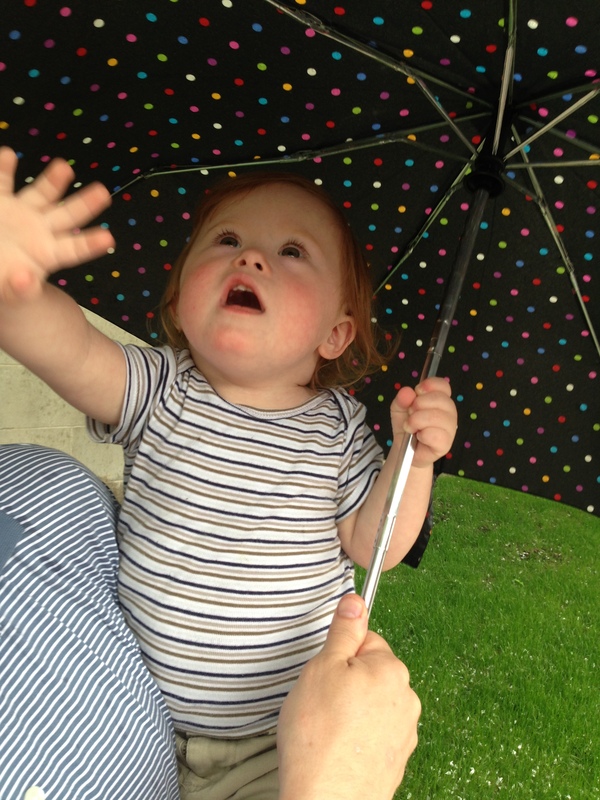 The Down syndrome is a big deal and it’s an important part of our lives, and we want people to know about it, but I haven’t yet figured out how to insert it into early conversations. I don’t want to make too big of a leap, but we have friends who are gay, friends who are Evangelical Christians, friends who are passionate environmentalists, friends who are big on gun rights, friends who are vegan, and so on. And without trivializing others’ experiences, I can’t help but think that our little question – ‘when do we tell them?’ has some small parallels with these friends, and really, anything in our lives that are important parts of who we are and how we view and approach the world but may not be apparent to someone we’re just meeting. This situation is not unique to disabilities. And to be clear, this is not some major catastrophe that we face – it’s just a new thing for us and requires us to navigate social situations a little. And the good news is that we control #2, and making progress on #2 will help out ole #1. The more that we really and truly accept Down syndrome and disabilities, the more comfortable we’ll feel telling people about Down syndrome, and the better that we can educate people. And that helps the whole circle. It’s that Lee sharing thing. The tone of this blog might make it seem like we’ve fully accepted Timothy’s Down syndrome, but we have a long way to go. We completely embraced and loved this little redheaded boy from Day One. But his Down syndrome is a deal that we’re still struggling to accept. We know that it’ll just take time, but the sooner that we can really embrace DS like we embrace TRBL, the faster we’ll really be able to help him and others so much more. Which is great — as long I don’t have to share my hot chocolate. 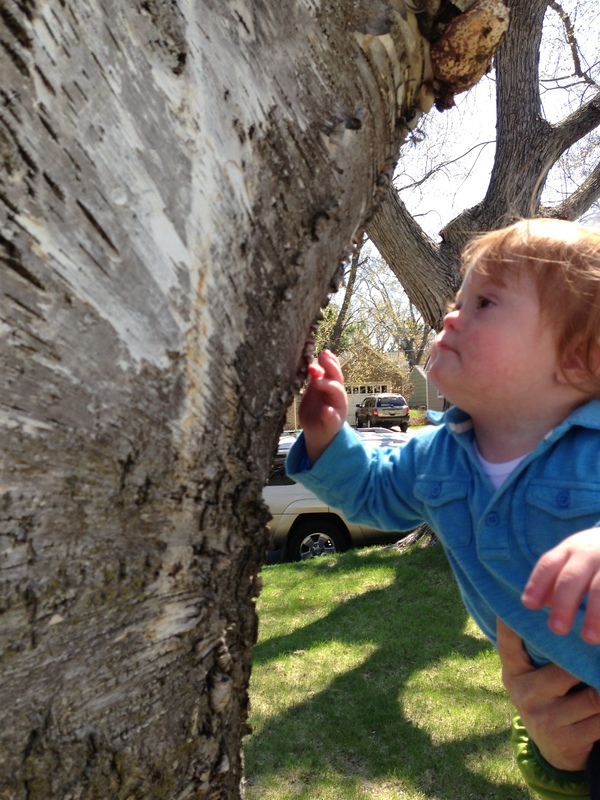 This entry was posted in Communication, Down syndrome, grabbing, Parenting lessons -- Don't try this at home and tagged Dr Timothy/ Mr TRBL, Dry cleaning, Hot chocolate, Let Dad cry it out, Sharing. Bookmark the permalink. I know tomorrow morning when my alarm goes off I will be so happy that I chose 11:30 PM to catch up on your blog. As always, smiles and tears. Love Catherine’s pictures of Timothy. What a beautiful family inside and out. Just spent a lovely hour or so perusing your blog while my little boy, who is nursing a fever and a spot of man flu, sleeps on my shoulder. 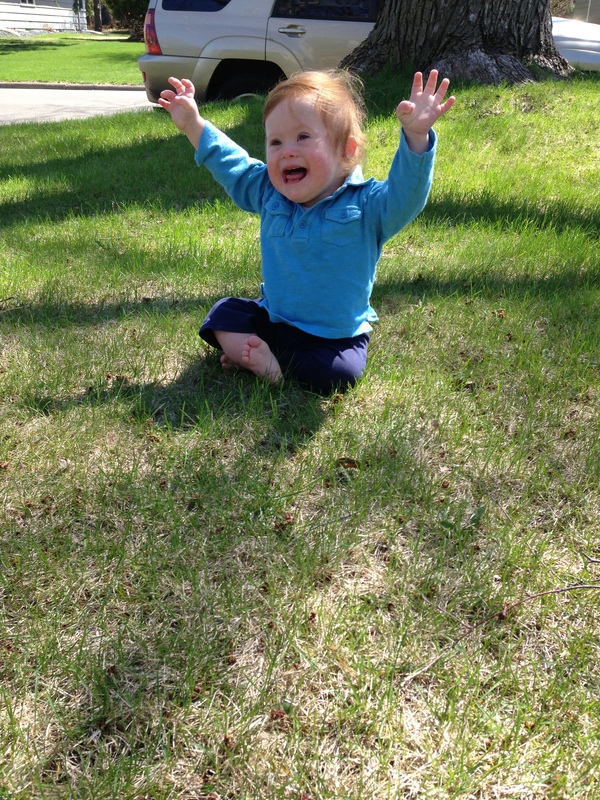 My little one is 16 months and also has DS. I really like your sense of humour, it’s not unlike my own bone dry style!! Great blog. I have just started my own and am loving reading other people’s stories. Thanks. So proud to call you son, Jack. Lovely, thoughtful (as always) post!